Circular Quay is the major water transportation hub of Sydney. 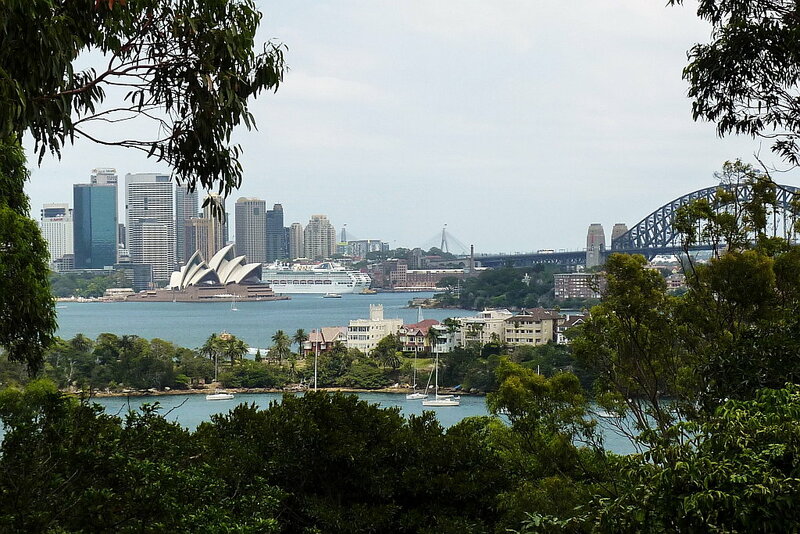 It is easy to take a ferry and visit other sites around Sydney and we have never needed to rent a car when there. Here are a few of the places that I have visited by ferry. 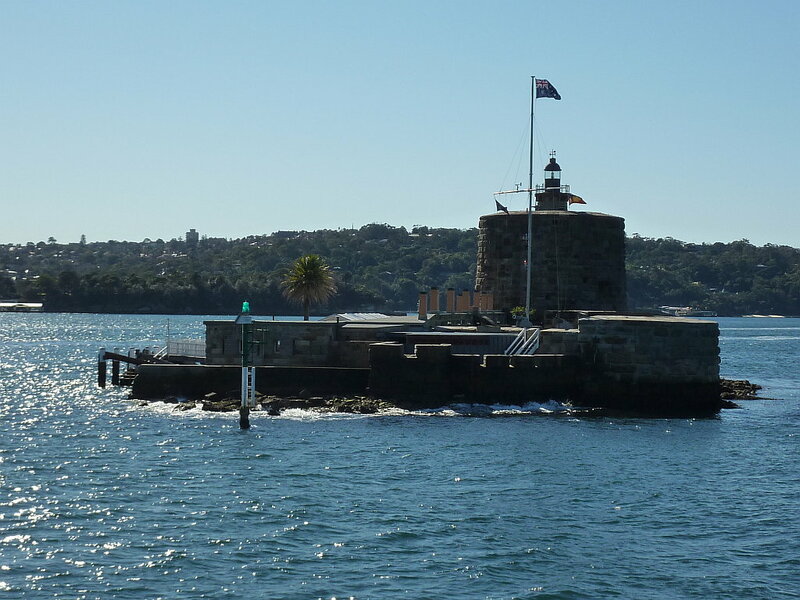 Out in the middle of the harbour is tiny Fort Denison – formerly a penal site and defensive facility. 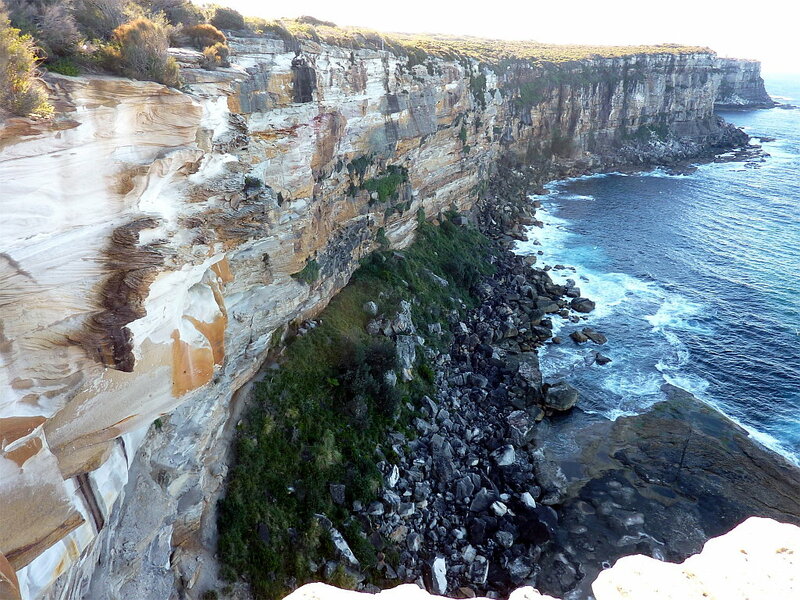 The picture below was actually taken from North Head, Sydney Harbour National Park, but it has a good view of the Point at Watson’s Bay with Hornby Lighthouse (red and white stripes). Look at the sailboats on the water! The place to eat when visiting Watson’s Bay is Doyles. 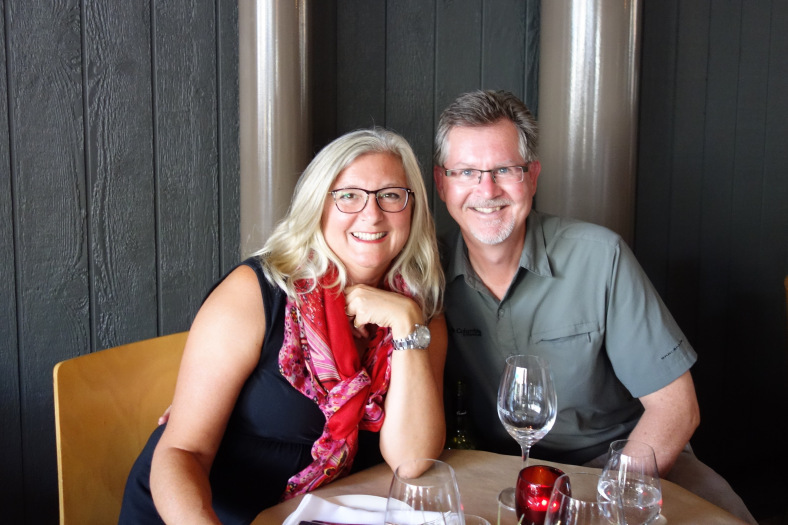 You can order fish and chips from the vendor right as you get off of the ferry or sit down at Doyles on the Beach – which is what we opted to do. 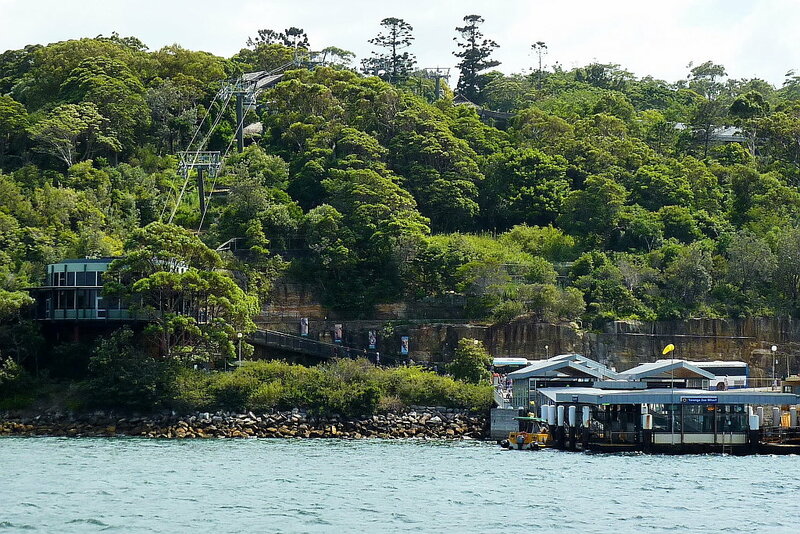 On another visit, Micah and I head over by ferry to the popular Manly Beach area. 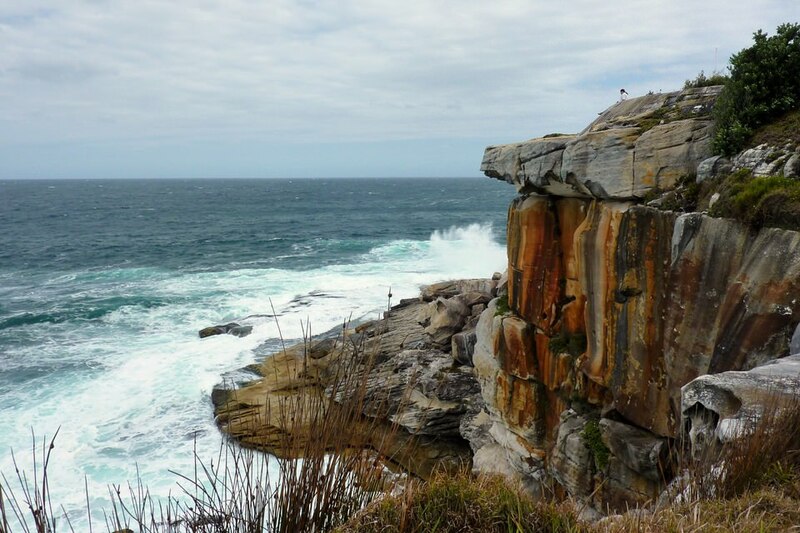 We explore the beach, but it is too cold to swim so we opt to walk up to North Head and explore this point of the Sydney Harbour National Park. It is a large area and we were exhausted when we were done, but we had great views and even saw a whale. 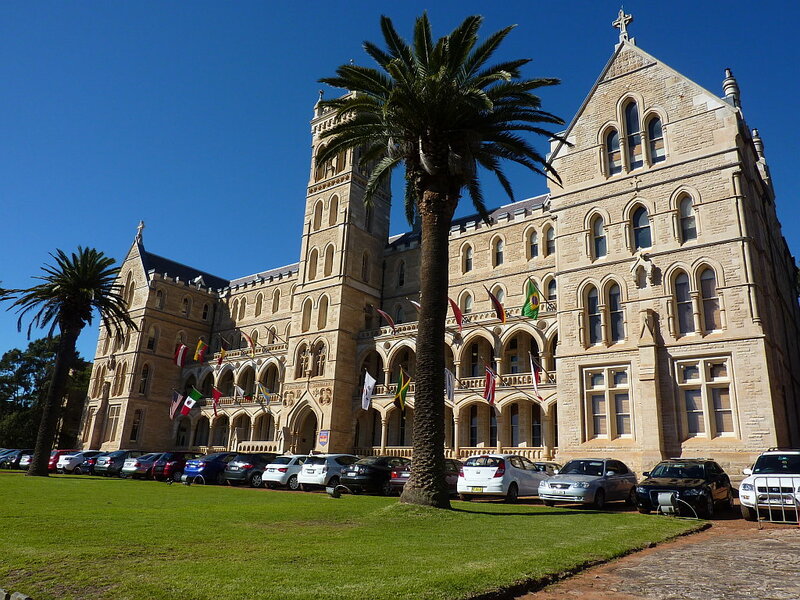 Along the way, we come across this beautiful seminary at St. Patrick’s Estate Manly. 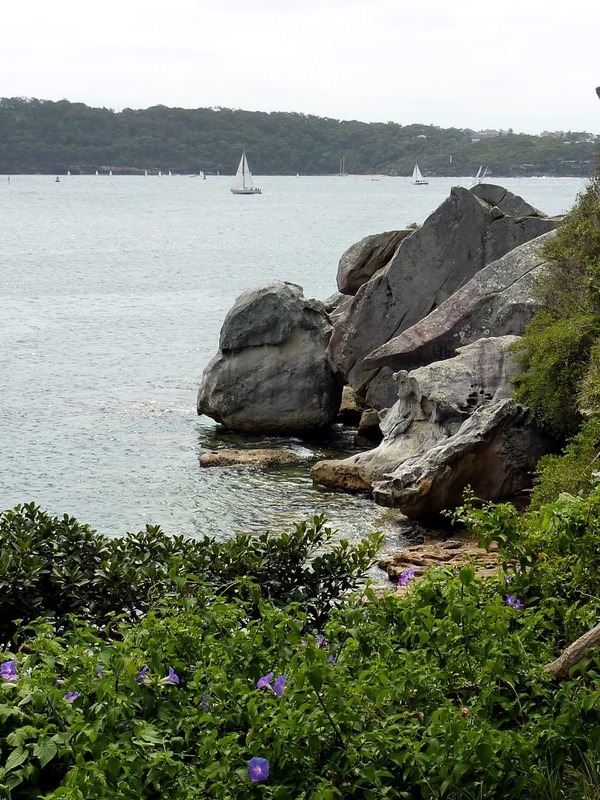 We walk along, occasionally coming across stellar views across the Bay toward cliffs and also the CBD. We also come across another cemetery. This is the Third Quarantine Cemetery. The 3rd Quarantine Cemetery was established in 1881 for victims of smallpox outbreak, and later for bubonic plague of 1900 and influenza epidemic of 1919. It has not been used as a burial site for almost a century. Finally, we arrive at the Lookout. It is spectacular! 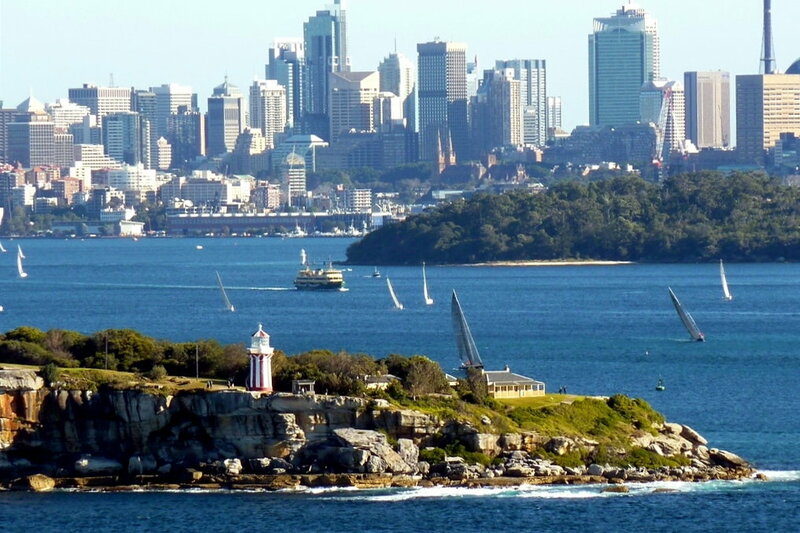 On another day, Ed and I take a ferry across the harbour to visit Taronga Zoo, with it’s amazing views back across toward Sydney city. Here, you can see the bridge, the CBD, the opera house, and even a cruise ship docked in Circular Quay. 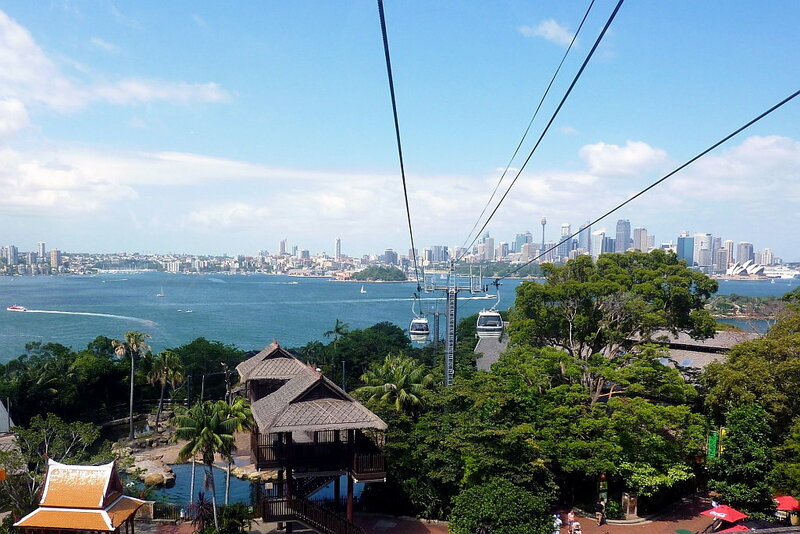 We take the Sky Safari lift from the ferry jetty. The price of this is included in your admission price. This is a very clean, almost sterile, zoo – easy to wander around and see the animals. Stay tuned…more Sydney to come.